 Welcome back to our Discover SoCo blog page! With summer approaching in less than a month, we are gearing up for one of our busiest seasons — wedding season! Not only do we host some of the most gorgeous and memorable weddings in the fall, when the colors of the trees are changing, and in the winter, when the snow-covered mountains make a breath-taking backdrop, we also love our summer weddings! Mountain view weddings are those events that guests gush over and they leave you with pictures that capture your special day in a way that no other destination could. If you’re planning your dream wedding and you’re looking for the perfect romantic venue that will be memorable and exquisite for your guests, choose a wedding destination with a mountain view. Contact our team at Discover SoCo to get more information about this once-in-a-lifetime wedding venue! Your wedding is one of the most important days of your life. It’s the culmination of a journey searching for the one person who fills your heart with joy and it’s a celebration of the love you’ve found. The day is nothing short of years in the making — It’s about you, your one true love, your closest friends and family… and hundreds of other people. If you’re intent is to plan a small wedding with only close friends and family, you do have some details to iron out, but planning a wedding for at least a hundred people to attend is an entirely different story. You’re organizing a caterer to feed the multitude, you’re arranging entertainment for the masses, and you’re wondering how you’re going to provide an open bar on your budget. 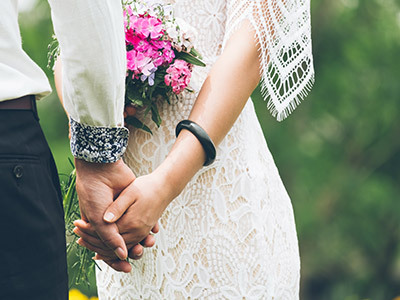 Let’s face it though, whether your special day is including hundreds of family, friends, acquaintances, and coworkers, or you’re just having those closest to you join in the festivities, planning a wedding takes work. It takes thought, planning, attention to detail, and time. 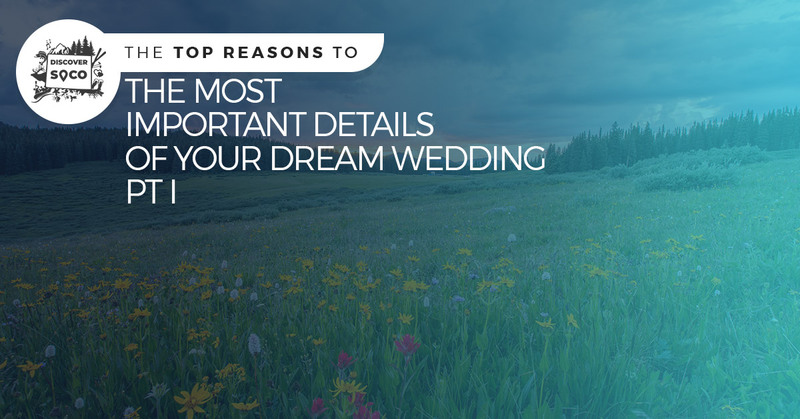 In today’s two-part blog, we’re going to take a look at some of the most important, significant, and memorable details of your wedding. You want your special day to come off without a hinge and with our help, you’ll be able to make sure that every detail is accounted for. Continue reading to learn more about the smartest ways to plan your one-of-a-kind mountain wedding! Bring Honest Friends – When you’re choosing the dress that you’ll walk down the aisle in, you want to have people with you who will give you an honest perspective of how you really look in your dress. One or more good friends or family members who will be kind but honest is the best policy. Choose Timeless Over Trendy – When choosing the right wedding dress for you, it’s always tempting go with a dress that is the epitome of trendy and fashionable, and it would be foolish to completely disregard the current fashion. However, instead of picking an over-trendy dress that will look dated in as little as a few years, opt for a classic look that suits your figure and makes you feel beautiful. Avoid People Pleasing – When you have opinionated people giving you advice on which dress to get, it’s easy to feel pressured to get a dress that you normally wouldn’t. No matter the reason that they’re pressuring you, if it’s not for the purpose of fighting for something that they know you want, don’t give too much of an ear to what they say. When it comes to weddings, many family members and friends have their own opinions and at the end of the day, you have to get the dress that YOU want. After all, you’re the one who is going to be looking back at the pictures in 20 years. Make sure you love your dress. Whether you want this or not, there are a few details that people use to rate your wedding, and an important one is the food. Admittedly, it’s not easy to feed 100 or more people and some caterers simply aren’t up for a job that big. However, there are some catering companies who can not only make decent food for a group of people that big, they can even leave your guests no less than impressed. Here are some tips when it comes to choosing the right menu for your big day. Taste Test Everything – Though it can’t give you an idea of how your caterer will do with hundreds of people, tasting the food that you choose is extremely important. Make sure that you or your spouse-to-be taste everything so that you know what you’re working with. Give Options – We’ve all been to that wedding that hasn’t taken food allergies into account and some of us have heard horror stories of a vegetarian who was served a plate of raw baby carrots in an effort to provide nourishment in lieu of the dinner course. Though you can’t plan for anything and everything when it comes to food allergies, you can accommodate some of the most common. Provide two or three different meat options for those people who don’t eat certain kinds of meat, give gluten-free choices for people who are gluten intolerant, and offer a vegetarian plate for the vegetarians and vegans on your guest list. These are just a couple of the ways to intelligently plan your big day! Join us next time for part two of our blog series. In the meantime, check out our website to learn about a gorgeous and memorable wedding venue in Southern Colorado. Discover SoCo is your go-to resource for beautiful wedding & vacation locations, breathtaking romantic getaways, and memory-making family vacations. For more information, contact our team today!